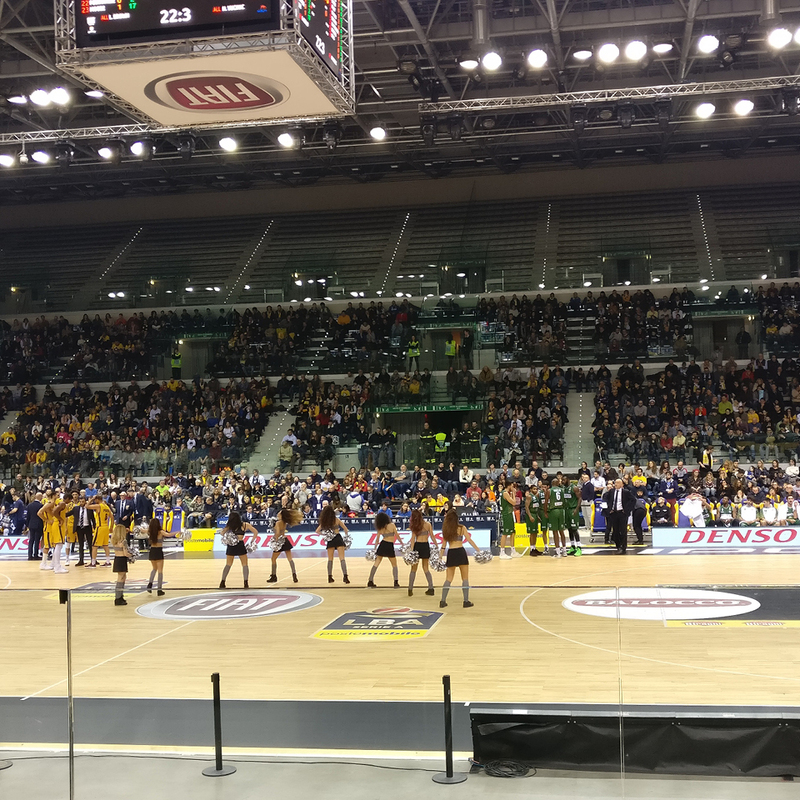 Vetreria Cassinelli in Turin is a Gold Sponsor of the FIAT Torino Auxilium basketball team: an activity that began thanks to the passion the owners have for the sport and the desire to be part of the life of this prestigious Club. 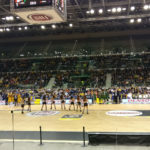 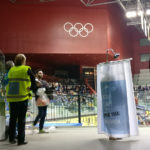 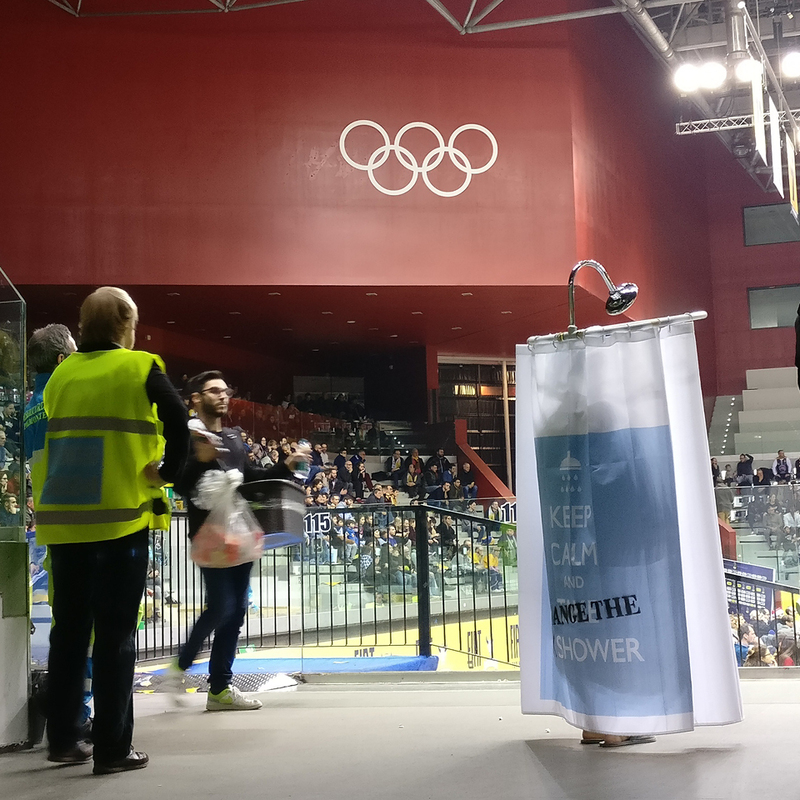 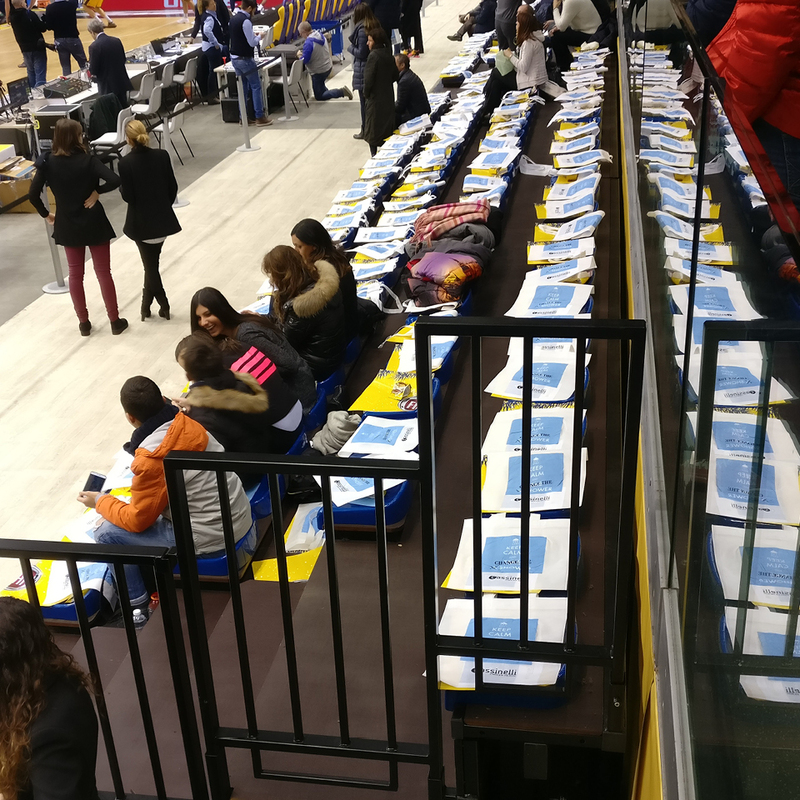 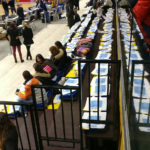 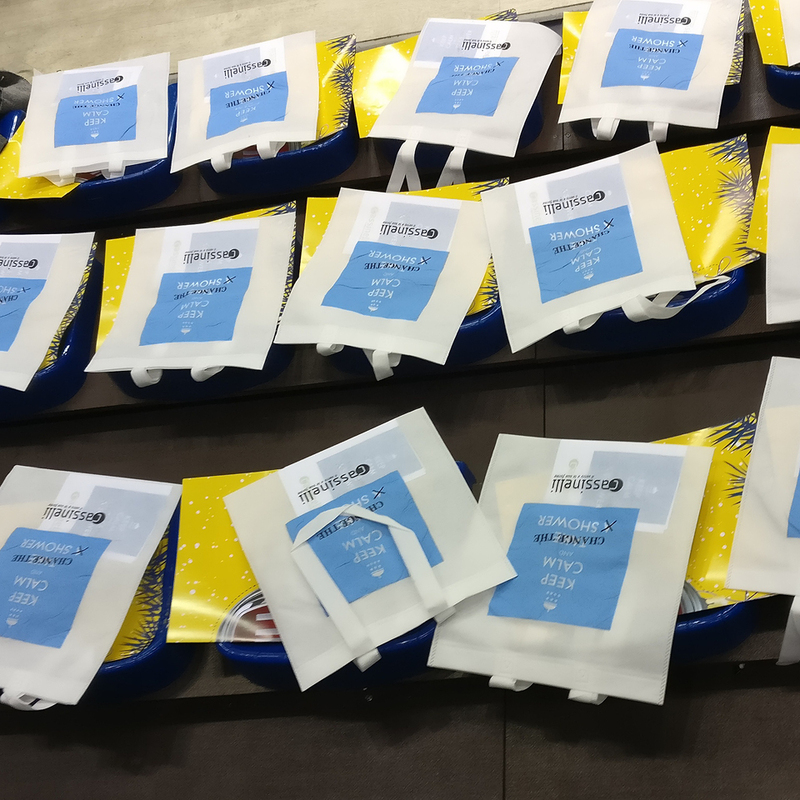 In the wake of the “Coppa Italia”, which it won in February 2018, Auxilium team has started playing the 2018-2019 championship matches in the prestigious Palavela, an Olympic facility with a capacity for more than 5000 people and has invited its sponsors to organize a Match Day on which to present themselves to the fans. 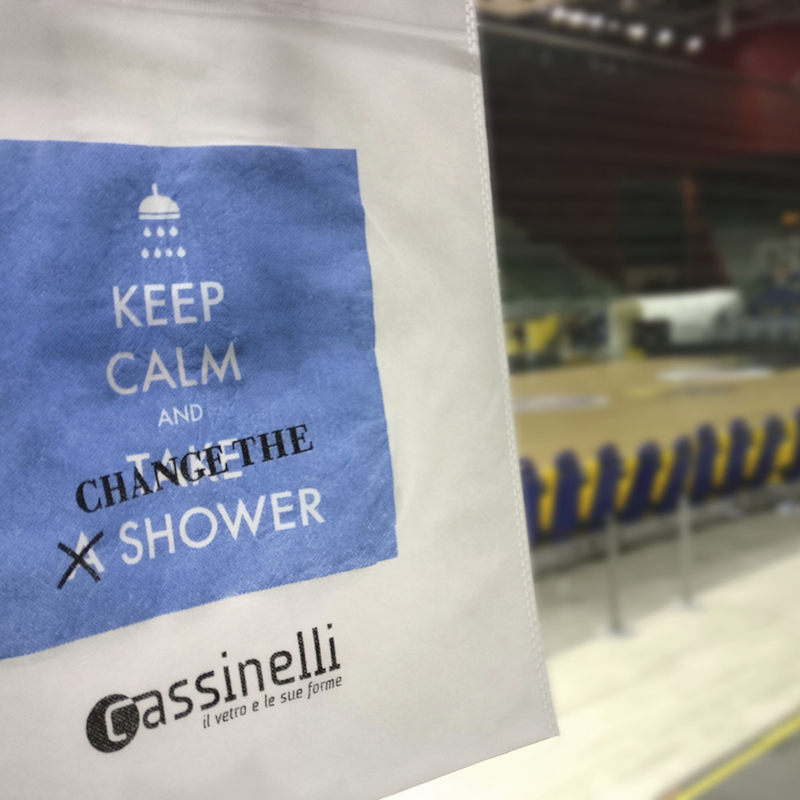 Vetreria Cassinelli has therefore given us the task of finding an engaging idea to present its product mostly aimed at the general public: the design and installation of “all-glass” shower closures. 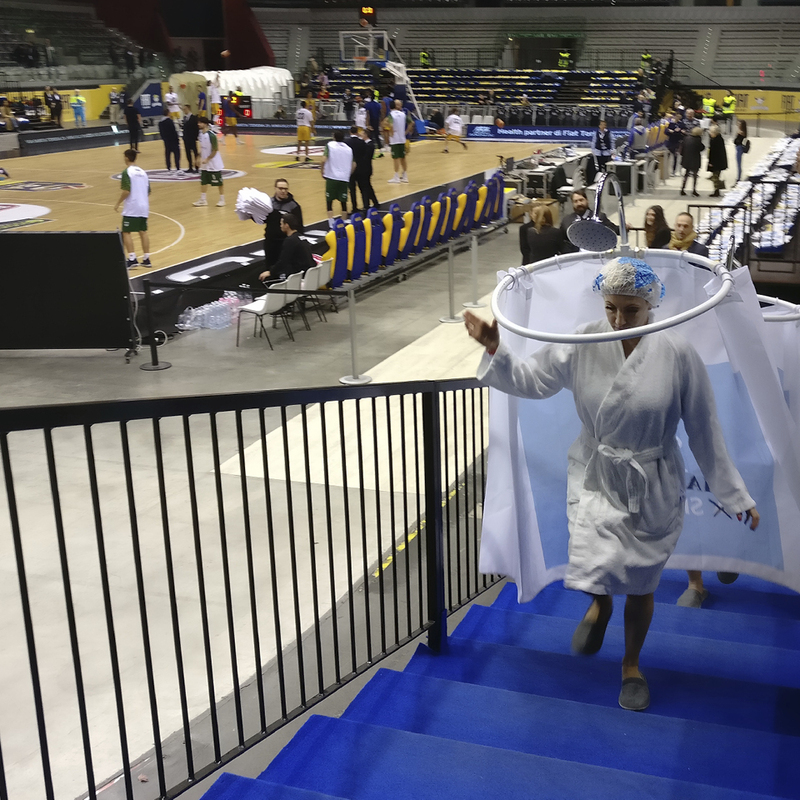 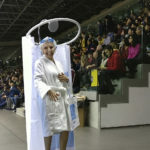 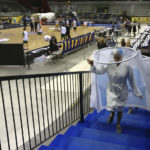 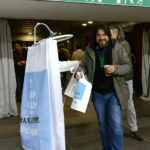 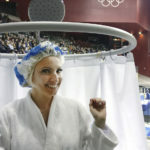 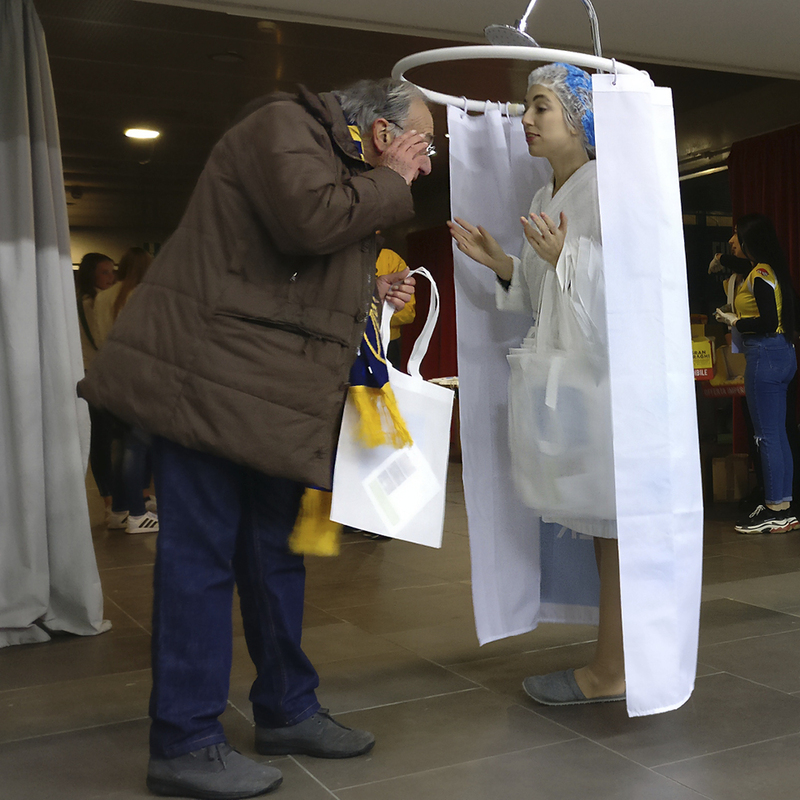 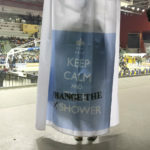 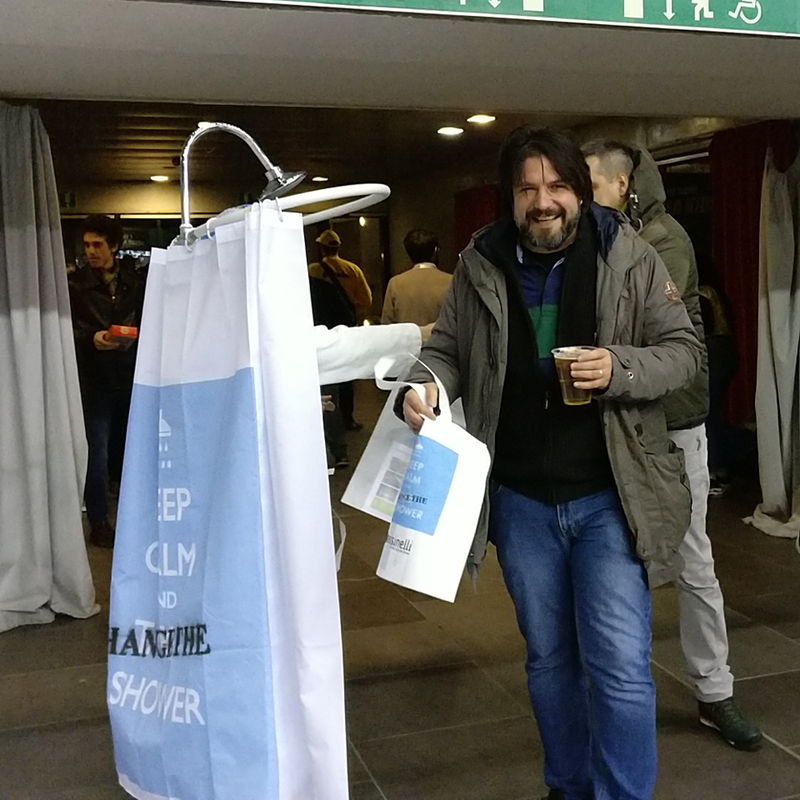 Hence the idea to liven up the entrance of the spectators to the match on 26 December 2018 with two shower-girls, dressed in a costume handmade in the agency to depict an old-fashioned shower with a curtain and convince the match spectators to switch to a new all-glass shower, the ideal solution for a fine custom-made installation or when the installation of a shower becomes difficult due to problems of space. An example of unconventional viral marketing, which has been able to involve a large number of fans, slightly sleepy after their Christmas feasts, in an original and fun way. 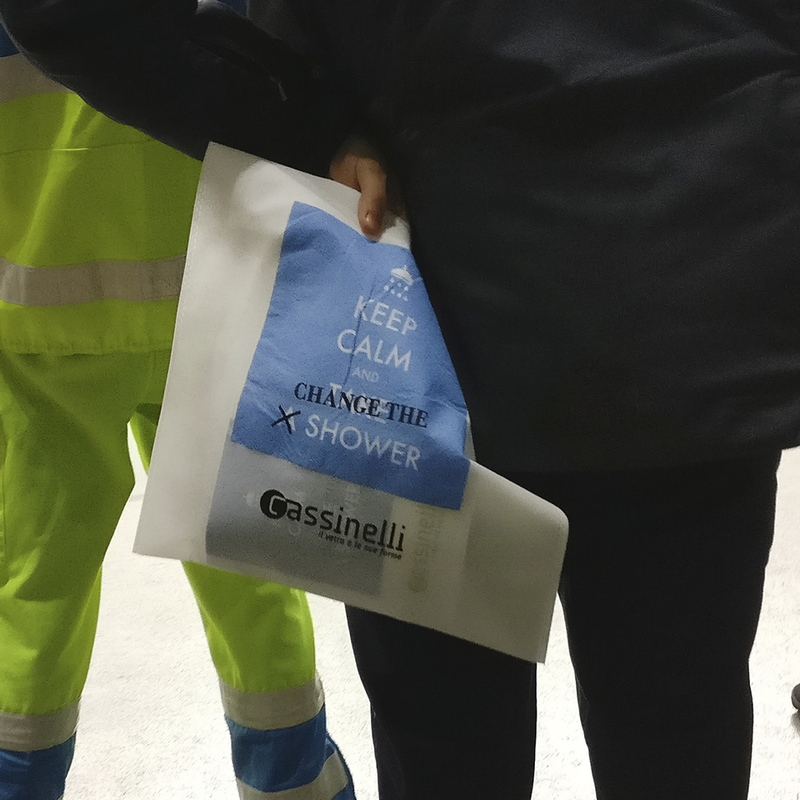 Thanks to the distribution of informative material and the publication of a landing page dedicated to the presentation of the project, the customer Vetreria Cassinelli therefore obtained a significant number of qualified leads and expanded its visibility as a reference point for the processing of glass and its use in architecture at a residential level, for office and commercial use.